I have LOVED the “Cossack Squat”! It has opened up my hips and pushed my ankles to a good place! I’ve done it for a few reps every day this week. Check out this simple tutorial. Speaking of ankles… this tip from Charles Poliquin (HT to Tim Ferris and “Tools of The Titans”) has been incredibly helpful! This week I spent some time on Examine.com exploring the benefits of various supplements and foods (e.g. lemons, ginger, etc.). I made some adjustments to our food based on the information I discovered there. The information and valuable research that is available on this site will blow your mind! This week Sherri (aka “Mrs. Peterson”) and I learned a new communication exercise from a couple of our friends (Thanks Dallas and Courtney). It’s called FANOS (an acronym). It only takes a few minutes every day, and it is a great tool that will enhance communication with and awareness of your spouse! Check out a short summary here. The sentence that keeps running around in my head… “If we’re gonna walk we walk as lions, if we’re gonna stand we stand as giants” (from “Lions” by Skillet). I’m thinking this will end up as some kind of an image tattooed on my body… a constant reminder of the power of God flowing in and through me. So there’s five of my favorite things from this week. If you found something helpful… I’d love to hear from you! Have a GREAT weekend! A quote I’ve been contemplating this week comes from my friend, Shawn Lovejoy – “Be where your feet are.” This is a call to be fully present in the moment! Good reminder Shawn… especially in these days of transition! Be present for my family. Be present with my friends. Be present as the pastor of Church180. Friends… this week Sherri and I have spent time with friends from Church180 and the community… eating… laughing… reminiscing… dreaming. As we prepare to transition from Rock Hill we realize, the best thing we have here is people. Friends! So there they are… my five favorite things/experiences this week. How about you? What’s been some of your favorites? In light of this news, I’ve spent a LOT of time reading and watching the history of the 101st Airborne Division. I enjoyed and was inspired by looking at the pictures of men and women I will soon be joining on flickr. I also learned a lot by watching a documentary about the “Screaming Eagles”. Finally, I started watching “Band of Brothers” again… their story is legendary among the 101st Airborne. I’ve spent time reading through the Bible books of 1 and 2 Kings… and wondering “Why are people so quick to ignore God?” While this may not technically be one of my “favorite” things this week… it may have been one of the more important questions with which I wrestled. Definitely a highlight of this week has been the time spent with people. As we prepare to transition into a new chapter in our lives, we believe that our greatest memories will be of the people we love… so we’re spending time listening, learning, encouraging, and instructing the people we love! This week I picked up Jentzen Franklin’s new book, “Love Like You’ve Never Been Hurt.“ I enjoyed the first part (the second part was largely about marriage… not bad but not what I was expecting.) The first part talked a lot about forgiveness and kindness… two things that God has been counseling me on lately! These are five things that have taken a lot of space on the desk in my head this week! Today I spent about 45 minutes talking with my Superintendent (my church boss… ranking right below Jesus 😉 ) about the logistics of a successful transition at Church180. Working with our Superintendent and a core of leaders in our church to make the smoothest possible transition for Church180. Identifying projects and departments around Church180 that need focused attention in the days/weeks to come . Spending time with people from Church180, and people in the community. Planning out the final sermons I will be preaching at Church180… actually, they are the final sermons I will preach as a civilian (at least for a long time). I am training hard! I’ll be one of the older guys in training… but I have every expectation of giving the young dudes a run for their money. I’m watching every video and reading every article I can find about military culture and chaplains. I’m talking with every veteran and chaplain I can find who will shed insight on what it takes to be an effective, helpful chaplain… a chaplain that the soldiers WANT on the team! I am writing out workout plans for Sherri and “Morning Shenanigans” for the ladies to be executed when I am not home. (If you’re not sure what “Morning Shenanigans” are… check out my Instagram page). I am spending time with each of my ladies on our dates and making an effort to capitalize on key moments such as breakfast time conversations, etc. I am reading and thinking a lot about the kind of work/ministry I will do in a military environment. Yesterday I had the chance to sit down with a local Christian bookstore manager and do an interview. 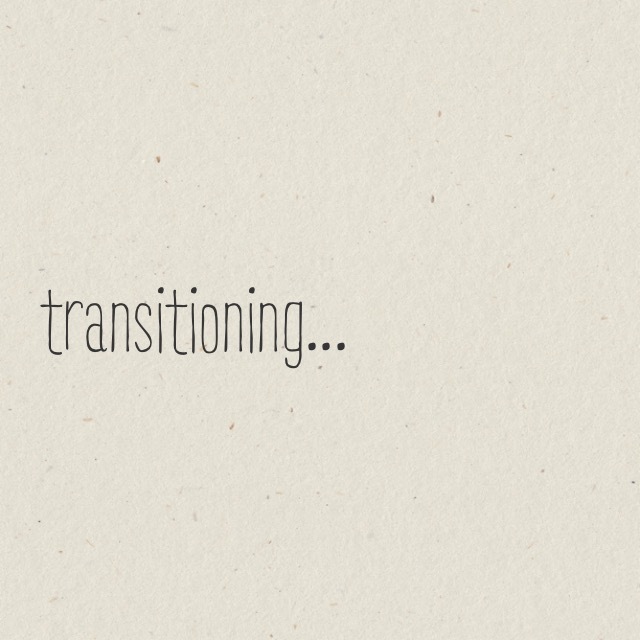 It was fun to talk about our transition and I was able to walk through a few key ideas that have been helpful for us as we have arrived at this decision. You can watch that interview here. Amazon Music. This is part of the Amazon Prime package. It allows me to create multiple playlists… and it’s a real plus for the garage workouts (aka “morning shenanigans”). I like it better than Pandora because it allows me to pick specific songs I want rather than Pandora which limits me to genre. Speaking of Rob and Brutal Iron Gym, he and his dad make one of my favorite “recovery tools”… a metal “scraper” used to work through knots in my muscles, break down scar tissue, etc. You can read about Graston work here. You can watch it in action here. If you’re interested in purchasing your own scraper reach out to Rob! This week I finished John Meacham’s biography of Thomas Jefferson. Some of my favorite insights included how much value Jefferson placed on physical exercise, and how hard he worked to avoid confrontation. I also enjoyed watching the man who loved and often lived the “ivory tower life” employ pragmatism! Also, it was insightful to realize that the world of politics has always been dirty and hateful. We are NOT living in the worst days… it has always been bad. We just see it more now due to social media. This was a long book, but worth the read for anyone interested in history, leadership, and the management of power in personal and political environments. Something I’m contemplating is how to take a page out of Derek Sivers practice of taking notes on the books he reads. I read a lot of books and am looking for a way(s) to remember and apply my favorite lessons from each book. Sivers has figured out a way that works for him. Every time I sit down with my books to use his method… I get overwhelmed, so I’m still searching, but I think I will end up using some of his ideas! And so there they are… my five favorite things from this week! If you find something or someone helpful on this list I’d love to hear about it! Two weeks ago, Sherri and I shared with some of our favorite people in the world (Church180), that we are preparing to transition out of our role as a civilian pastor and move into a new role… active Army Chaplain (I wrote about it here). How will my ladies handle my absence? How will they adjust to the new environment(s)? What do I need to do to leave Church180 on a high note? How in the world am I ever going to perform a 30 minute church service in the field?! (I can’t even preach a sermon that short). The people at Church180… will I see them again? Which ones? And that’s just the stuff that comes quickly to mind! Over the course of 21 years of ministry, we have moved several times. Each time we determined to love and enjoy people right up until the very last second! We made a decision NOT to withdraw in an effort to ease the pain of separation. We determined to lean in, even though we knew it would enhance the sadness when we left. We believe that seeds of love that are sown are better than seeds of love that are stored. Seeds that are sown will bloom… and bring beauty. Seeds that are stored, though filled with potential, will yield nothing. As we prepare to transition, our first determination is to love as many and as much as we can… right up until the very end! Heading into this new season of life I want to start blogging again. Tim Ferris does something that I really like. He calls it 5 Bullet Friday. Every Friday he sends out his favorite things from the week. I like that, so I’m going to take a page out of his book and do it on my blog too! All of it is of interest to me, but you’re welcome to anything you find helpful too! 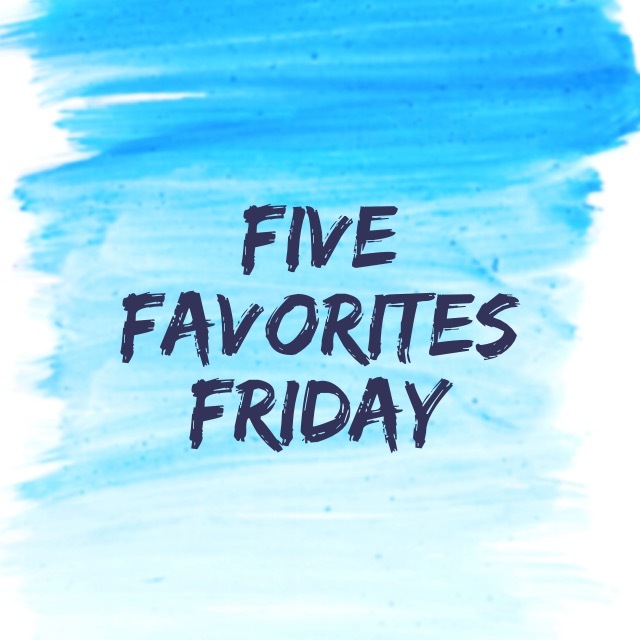 Welcome to “Five Favorite Friday”! Shawn Lovejoy wrote a list of “25 Lessons Learned From 25 Years of Marriage.” Sherri and I have printed it out and are talking our way through it. There’s a TON of goodness in this list! As I prepare for this next season of life, I’m inspired by this chaplain who is at the top of his game spiritually and physically. I’m finishing up week one of Jim Wendler’s strength training program called 5/3/1. I’ve run this program before and never been disappointed. It’s good to be getting under some heavy weight again! (This article explains the program… WARNING TO MY MOM – it does have some salty language). The purchase I’m enjoying the most right now is the “Slingshot Hip Circle” from Mark Bell! It activates my hips and glutes prior to squats and deadlifts! I use it on most days as part of my warmup routine! There it is gang! If you’ve found something helpful on here I’d love to hear back from you in the comments!